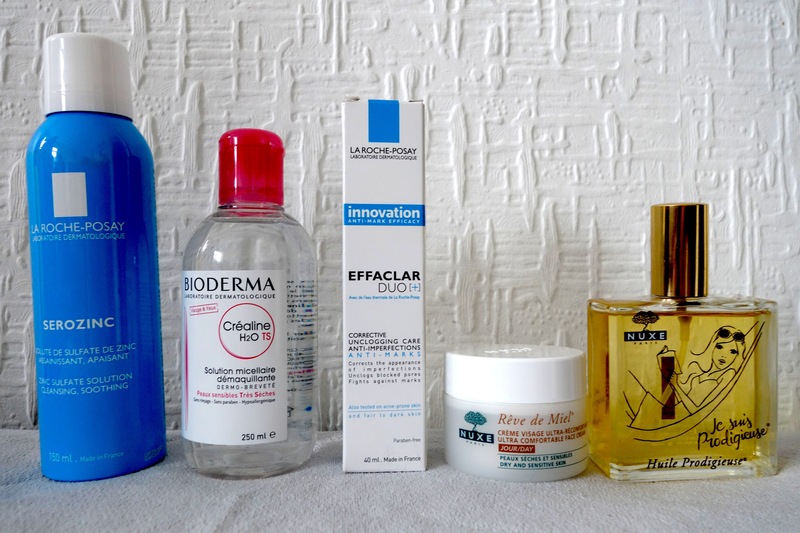 Although I wasn’t able to go to Paris a few weeks ago, I was lucky enough to get a French pharmacy haul brought back for me. I love going into pharmacies and supermarkets when I’m abroad, and I’ve had my eye on a lot of these products for a while. 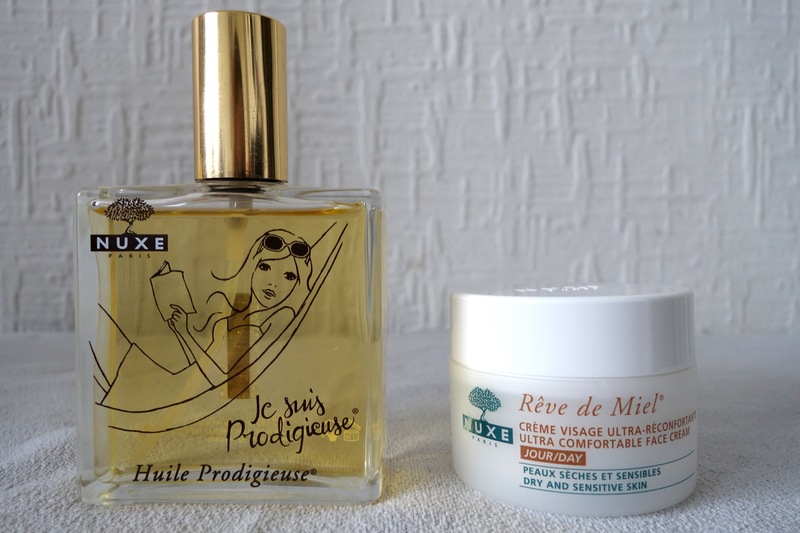 First up was the Huile Prodigieuse from Nuxe. It’s a scented oil that can be used on your face, body and hair, and I am absolutely loving it. I’ve put a couple of drops in the bathwater too – it smells amazing, and makes a regular bath seem that much more luxurious. This bottle also came with the sample of the perfume, which has the same scent – and I’ve already run out of it, I’m enjoying it so much! I’d definitely repurchase the oil, but I definitely need to get my hands on the bottle of perfume first. 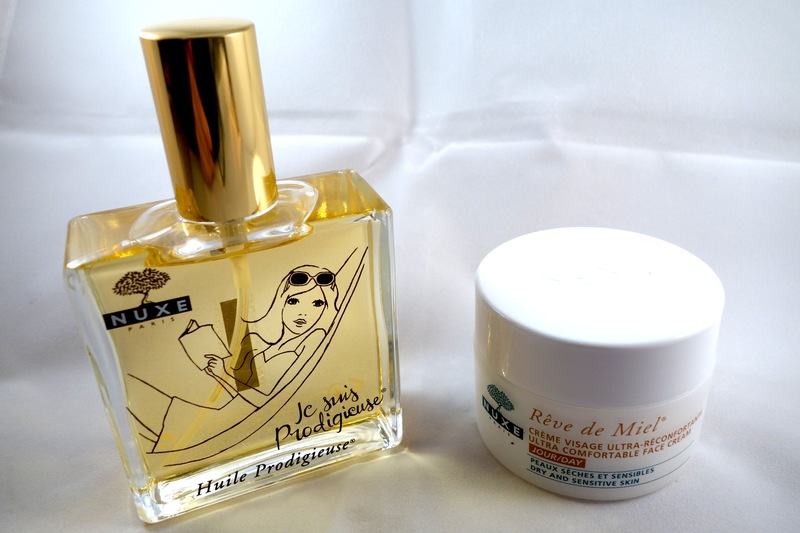 Also from Nuxe was the Reve de Miel face cream. It’s a thick, lightly honey-scented day cream that is really moisturising. The only downside is that I like my day creams to have SPF in it – when Mr. A mocks me about my day/night face cream routine, I can’t justify the difference between day and night cream without SPF! Otherwise, it ticks all the boxes for me. 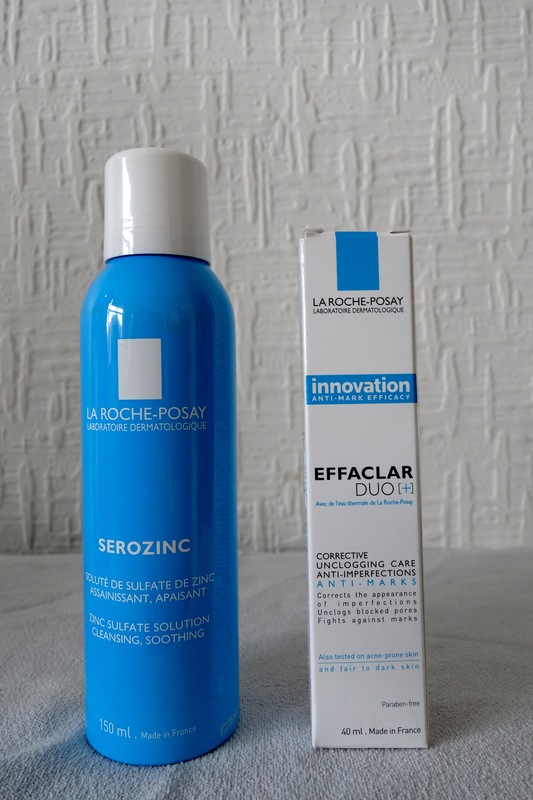 Next is the La Roche-Posay Serozinc toner and Effaclar Duo Anti-Imperfections cream. I like the toner, although I don’t get why toners need to come in spray form – I like to put some on a cotton pad, as I feel I’m wasting a lot of product through the spray (and that it’s ‘toning’ my hair, too). The Effaclar Duo cream really smooths over blemishes and feels great. I’m a big fan of the Garnier micellar water, and when I tried the L’Oreal version I really didn’t think it compared. The makeup didn’t melt away, and it left my skin feeling tight – which is why I love the Garnier micellar water, because it doesn’t do that. 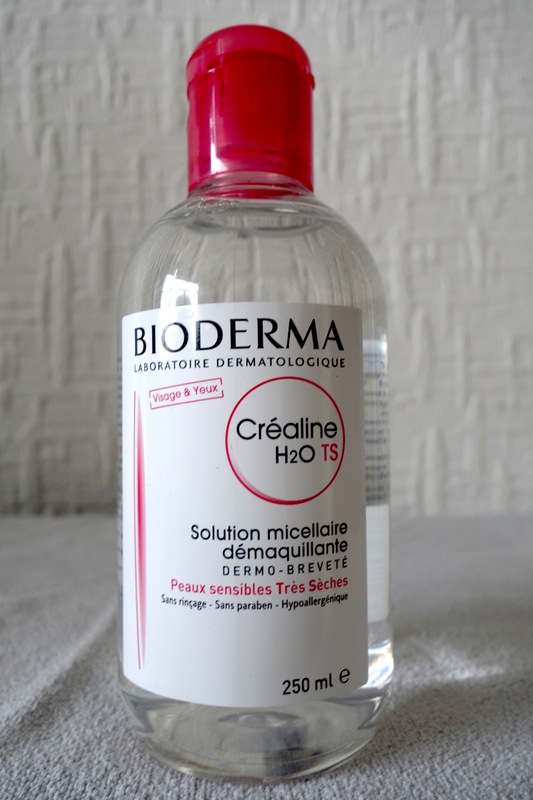 I think the Bioderma is of an even higher standard. Colourless, odorless, a few drops of this on a cotton pad and my makeup is swept away. I love! If this is standard for all French personal care products, I think I’m going to have to make trips over the channel more often! For those of you who have favourite French products – what do you recommend?